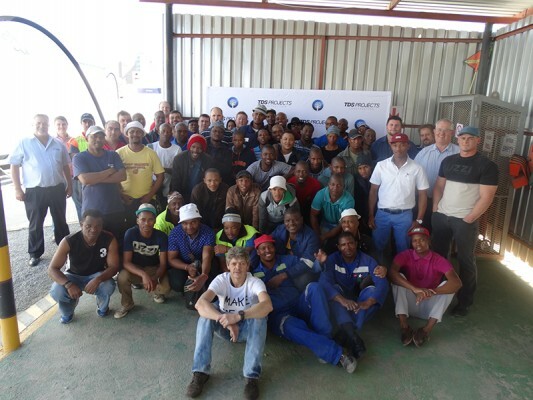 TDS Projects Construction has been awarded the contract for two distinct but integrated projects at Exxaro Matla’s Mine2 and Mine3. This entails both mine development and infrastructure development. TDS will be working alongside Newrak Mining with whom they have entered into a joint venture for this project. Under the terms of the contract, the project will be jointly managed by the two companies. The parties will work together firstly on mining development that will focus on tunnel drilling and blasting to make way for decline and vertical infrastructure construction in Matla’s Mine 2 and Mine 3. TDS will then head up the infrastructure development project. The scope of work for the mine development phase of the project for Matla 2 and Matla 3 will consist of drilling, blasting, mucking and the hauling of inter-seam material and coal to develop the initial run-around. It will also include development of the roof support, gunniting of walls and roof incline sections and maintaining equipment. Two Declines that will be developed at Matla 3 and two Inclines at Matla 2 will link the current coal seam 4 works with the seam 2 reserve. For the infrastructure development, TDS is providing full turn-key infrastructure development. This includes complete design, procurement, fabrication, installation, construction and commissioning for civils, road inclines, plinths, mechanicals, Decline and Incline conveyors, EC&I, supply water and waste water extension and electrical reticulation. 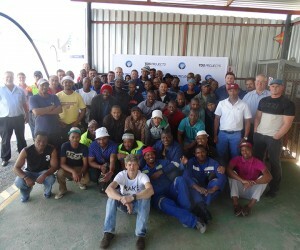 According to TDS Operational Director, Willie Pieters, Exxaro will benefit from TDS’s unique approach and methodology. “TDS has a field proven construction management methodology and proven safety track record. To ensure smooth project delivery we will also be using a new financial management system, a tagging and reporting system and dashboard reporting from a project management perspective,” says Pieters. The project will kick off on 7th September 2018 with the first blast taking place at Mine 3 for the mining development phase. The infrastructure development will commence on 30th September 2018 and completion of work on Mine 3 is estimated for August 2019. The estimated commencement date for work on Mine 2 is mid-2019.